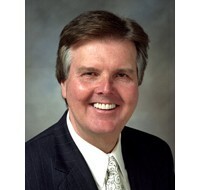 As part of his KSEV drive time radio show tonight, Texas State Sen. Dan Patrick (R-7) and caller Guy discussed (well, Guy tried…) the wisdom of giving unelected boards the authority to implement and collect local taxes, in this case an improvement district in Magnolia. On the ballot in Magnolia, voters will decide November 2 whether to approve a two-cent sales tax, as advocated by the Westwood Magnolia Parkway Improvement District. Business improvement districts are unelected bodies and boards which are authorized by the state legislature to form, designate members and collect a sales tax all without taxpayer or voter approval. Improvement districts are generally located in large municipalities, and rarely found in Texas outside Harris County. As a conservative Libertarian, I am opposed to giving any sort of authority to an unelected board, only because they are largely unchecked in their exercise of that power. What should be especially disconcerting is that Sen. Patrick is supposed to be one of the most conservative members of the Texas Legislature, and yet he offered his help on nearly a dozen pieces of legislation that would result absolutely in more taxes for Texans. While Republicans are quick to point fingers (and rightly so) at Democrats for using such unchecked authority in the Obama health care bill, it is rare to find one who will also shine a light within their ranks. To his credit, Patrick said he didn’t approve all of them, but decided based on the arguments for the districts. If that’s the case, Dan Patrick has never seen a unelected taxing authority he didn’t like. If you haven’t voted yet, I might recommend you cast a ballot for Libertarian Lee Coughran for Texas Senate this year. This isn’t the same Dan Patrick CLOUT guy we voted for in 2006. This entry was posted in Dan Patrick, Harris County, Magnolia, taxes and tagged 2010, Dan Patrick, elections, Magnolia, municipal districts, taxes, Texas legislature, unelected boards. Bookmark the permalink. I’d bet that Jim Murphy, Thibaut’s challenger, would heartily approve that district tax as well…after all, he’s been somewhat involved with Westchase Dist management. In the 80th legislature, Murphy worked with Sen. Patrick on authorizing two such unelected authorities, including Harris County Municipal Utility District No. 437 and 438, in addition to championing the regulation of auto shops, expanding the reach of government into small business and the size of government by creating a new level of bureaucracy, the unelected Automobile Service and Repair Advisory Board. This one piece of legislation would have cost Texas taxpayers an additional $30 million, and would result not in a gain, but a loss to the state of $110,818, according to the Legislative Budget Board. Furthermore, since I am on the topic, some might advocate (as Sen. Patrick has) that these unelected authorities are “how things get done.” My question: How did we get anything done before we had these boards? And how do many municipalities in Texas survive without them?